Most of the articles that talk about safe food storage in plastic containers recommend that you look for BPA-free labels. As a reminder, BPA became news when it was learned that biphenolacetate (BPA) is an estrogen acetate and can cause ovarian cancers and the like. The problem is (as stated before in this blog), BPA can be replaced by another acetate which is equally harmful. THERE IS NO FEDERAL REGULATION to correct the problem! 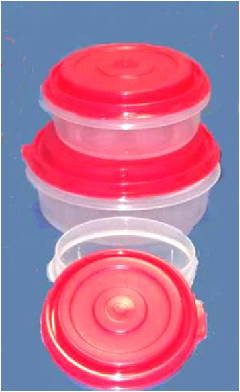 The bowls shown here are from Premier Classic Products and are the only TOTALLY SAFE food storage containers in existence and they pure to one part in 40 billion. Why take the risk when you do not have to? ← Safer Baby Bottles? Look for These BPA-Free Bottles.